Time for another round of show and tell! 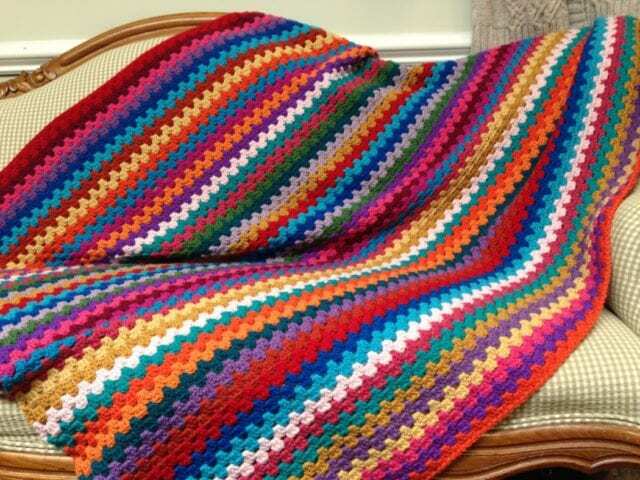 Today’s projects all feature stripes, whether high-contrast or low, many-colored or few. 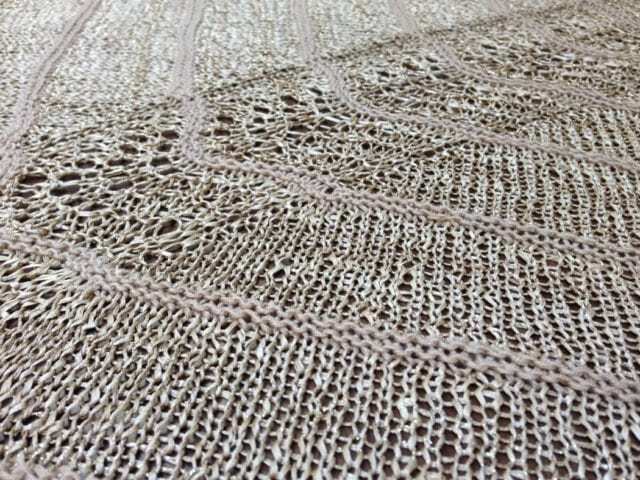 Here’s a low-contrast example, Nancy’s “Straw Into Gold” shawl. 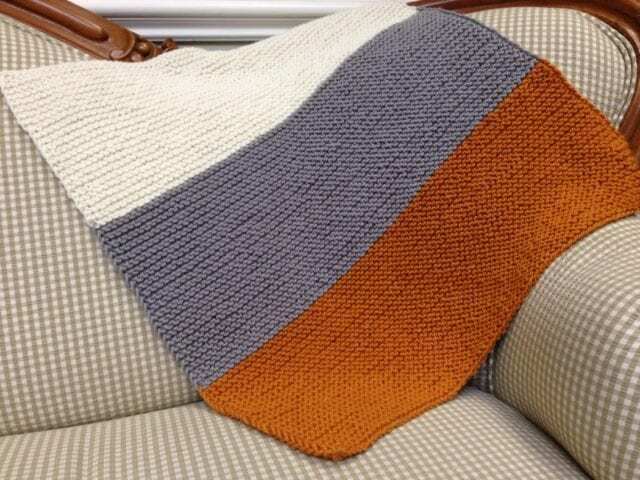 This elegant piece was made with three different Alchemy yarns, all of which were dyed the same color, so the stripes are subtle, showing the textural differences between each yarn. 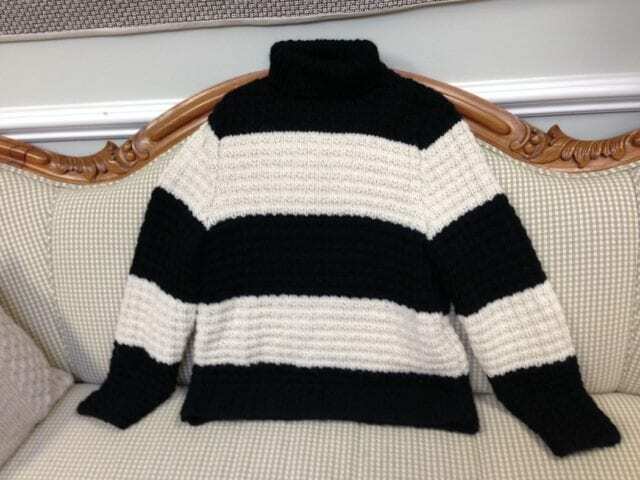 Michele’s first-ever sweater, on the other hand, is a high-contrast combination of black and white. 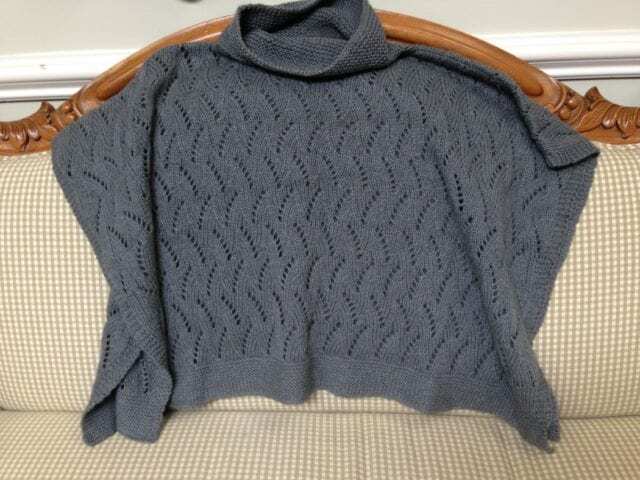 The pattern is “#11 Rugby Stripes Pullover,” from Vogue Knitting Magazine, and Michele knit hers with Elsebeth Lavold Calm Wool while attending Marsha’s Start Your First Sweater or Vest class here at the shop. 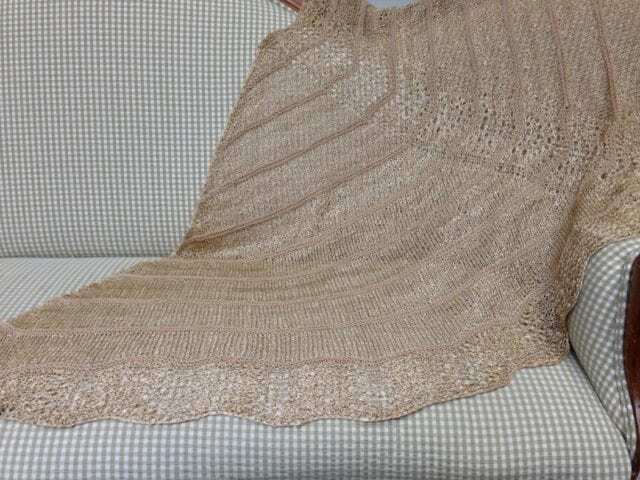 Michele is a relatively new knitter, but it’s clear she’s taken to it. By any standards, this is a successful sweater: the fit is good, her tension is even, and the stripes line up perfectly on each piece. For a first sweater, it’s doubly impressive. Well done, Michele! 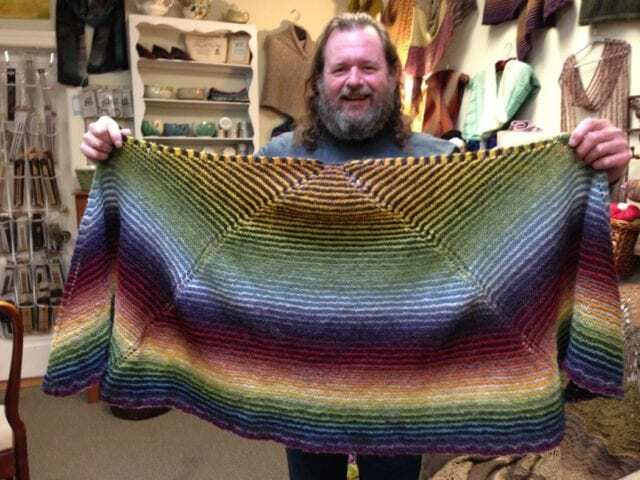 Here’s Tom with his finished “Kauni Color Wave Shawl,” knit with Kauni Effektgarn. 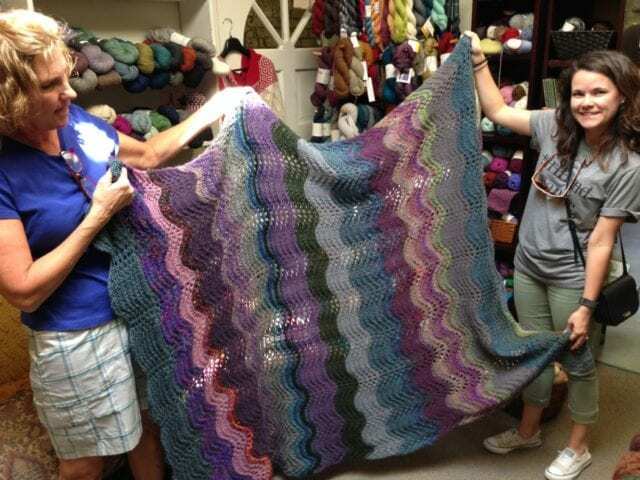 Not only is the shawl itself striped, the yarn is self-striping, too; Tom paired a rainbow skein with one in shades of black, white, and gray. The effect is striking, stripes on stripes. 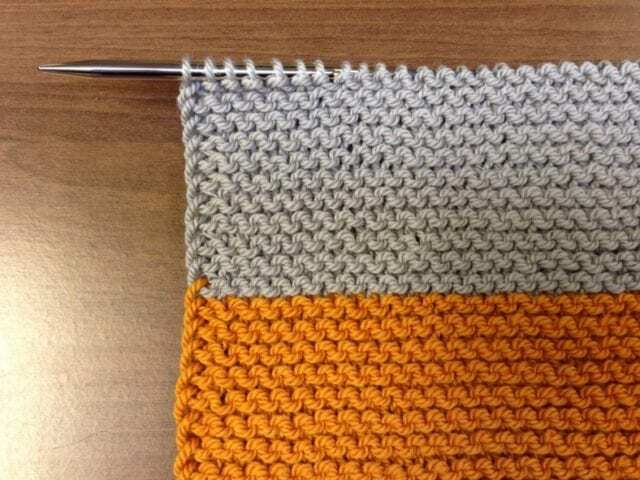 Above is Jodi’s granny stripe blanket-in-progress, crocheted with Berroco Ultra Wool. When she brought it in to show us a few weeks ago, Anne and I were blown away, not only by its impressive size, but also by Jodi’s color sense. It’s not easy to put 20 colors in a perfectly balanced yet seemingly random arrangement. It takes thought and skill and a little bit of guts, all of which are on display in this outrageously beautiful piece. Many thanks to the knitters and crocheters who shared their stripes with us today, and to everyone who starts their project with a trip to the Hillsborough Yarn Shop. We are inspired by your stitches and can’t wait to see what you come up with next! Time for another round of show and tell! 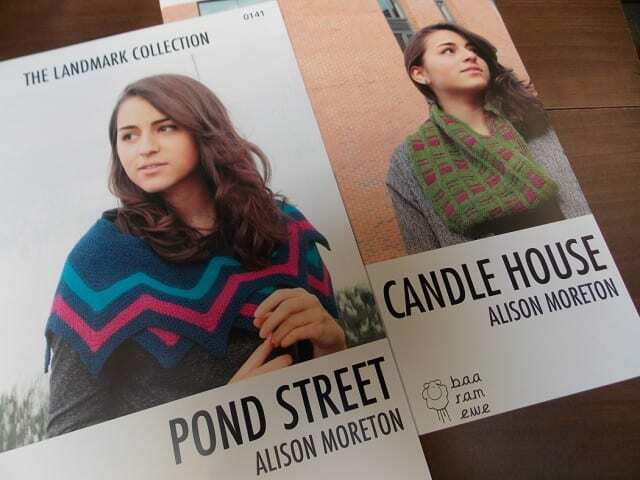 Here are some finished projects that started life as yarns on our shelves. These knitted things have something else in common, as well: they all feature animals! 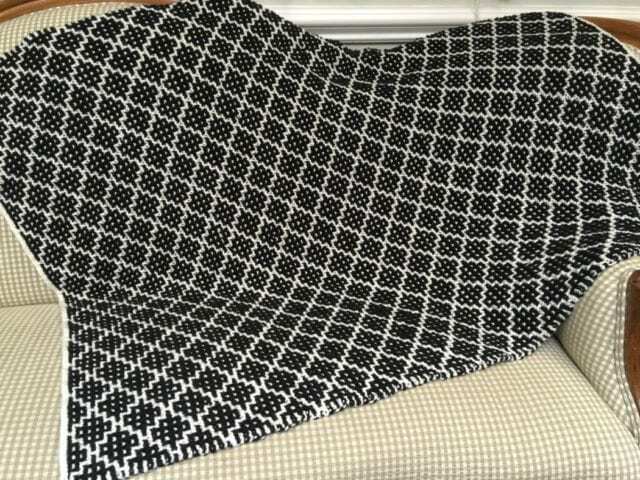 Amy designed and knit this “Baby Turtle Frenzy Blanket” for her granddaughter-to-be using Ewe Ewe Wooly Worsted. 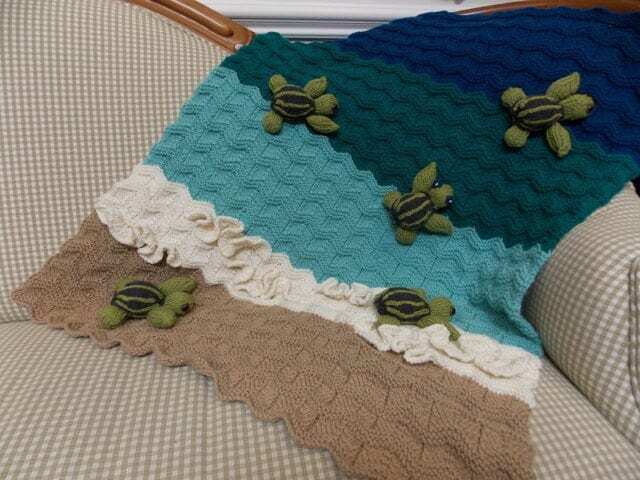 It shows sea turtle hatchlings on their journey from the sandy beach through the breakers to the deep blue sea. 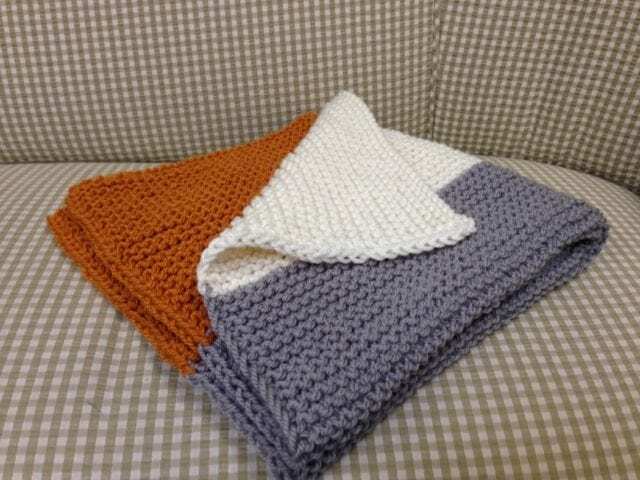 She wrote a separate pattern for the tiny turtles themselves; get them together at a discounted price on Ravelry or here at the shop. 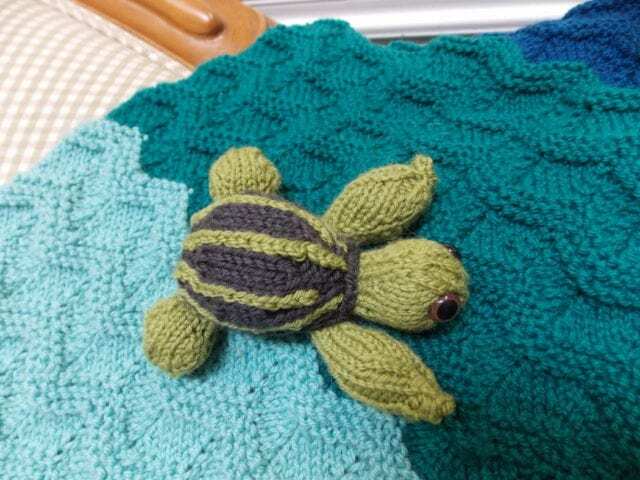 Amy’s also offering a Tiny Turtle class here at the shop, for those interested in knitted toys–head to our Classes page to sign up! Ali came by the shop not long ago with two knitted critters. 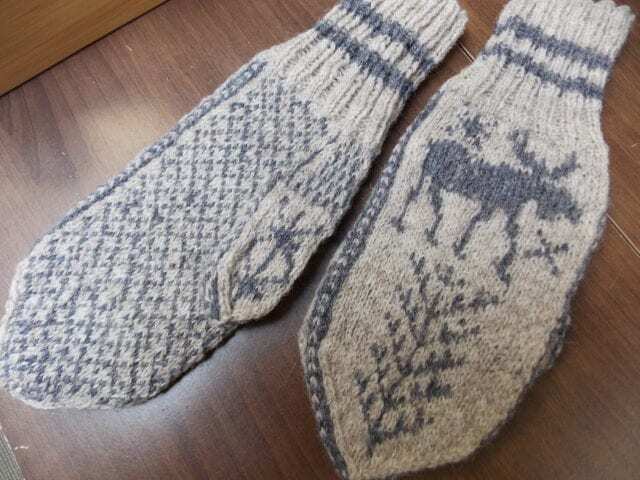 Above are her “Moose and the World’s Tree” mittens, from Annemor Sundbø’s Norwegian Mittens and Gloves, knit in Jamieson’s Shetland Spindrift. 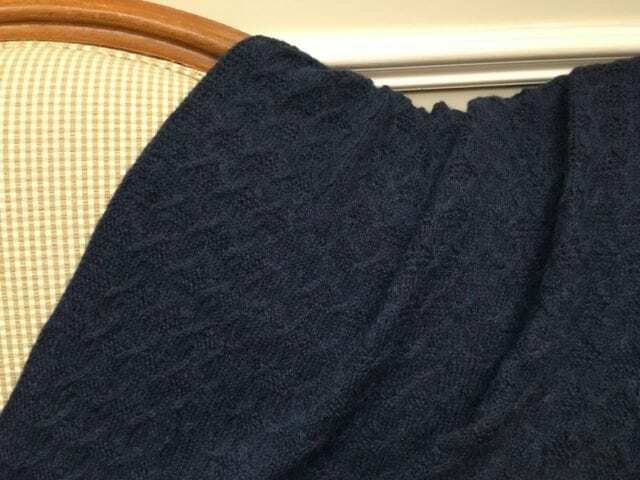 Below is her “Hedgehog,” whose belly and face is also made of Shetland Spindrift, with garter stitch spines in Plymouth Galway held double. 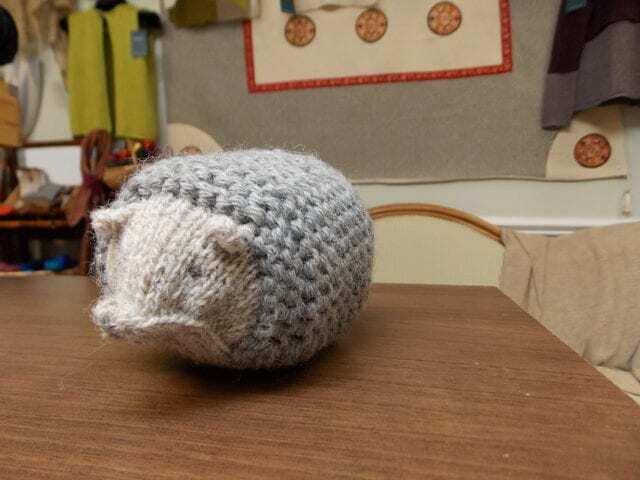 I, too, knit a hedgehog from this pattern a couple of years ago, and loved the process as much as the end product. 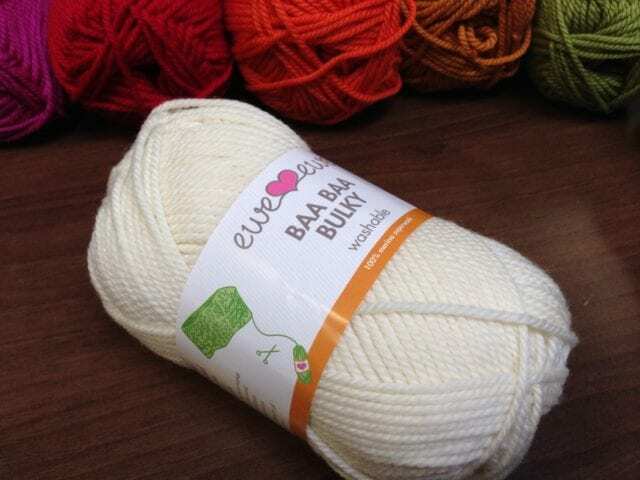 Seeing this one made me want to knit another! 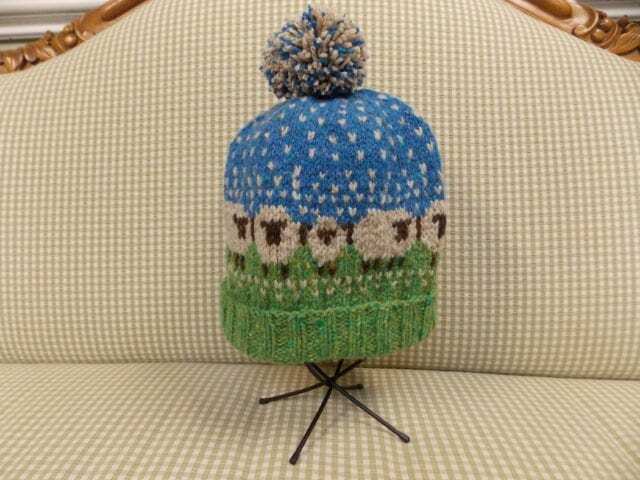 We can’t talk about knitted critters without mentioning the “Baa-ble Hat,” a free pattern with well over 5,000 projects on Ravelry in the year and a half since it was first published. 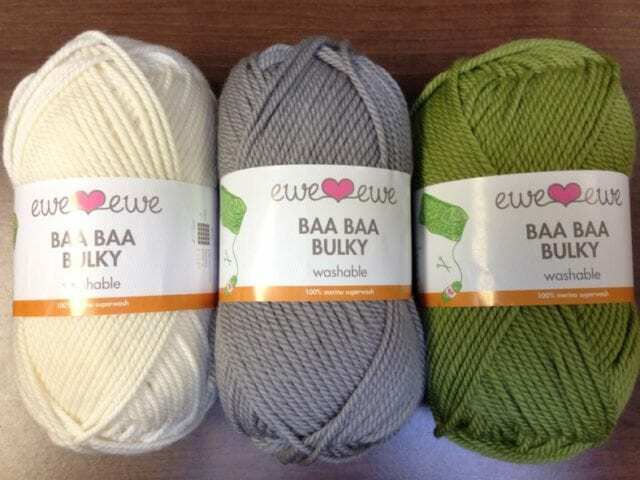 The “Baa-ble Hat” above is my second, and may not be my last. 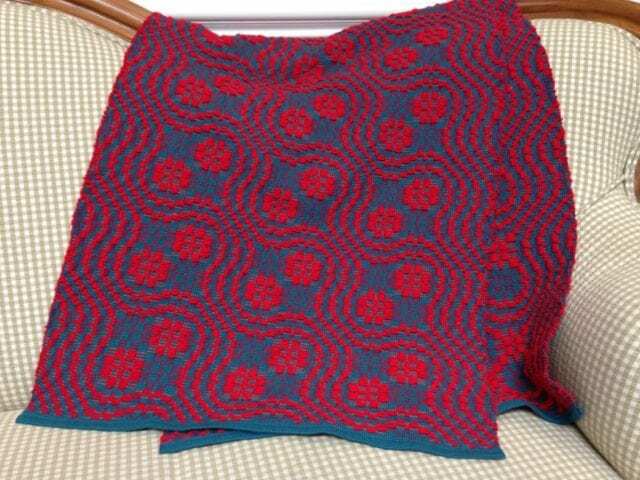 I used bright shades of Plymouth Tweed and Queensland Kathmandu Aran for this one, and love the way the colorwork looks in these speckled yarns. 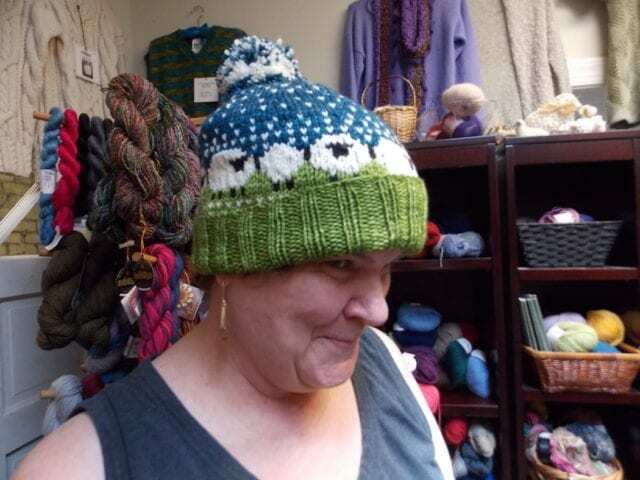 Amy just finished teaching an introductory class on stranded colorwork featuring the “Baa-ble Hat,” and the hat above was knit by one of her students, Clarine. 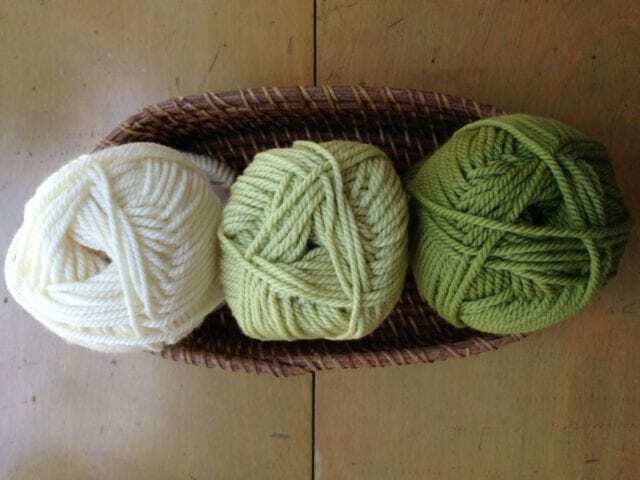 She used Jamieson’s Shetland Heather Aran for three out of the four shades, knitting the soft green grass with Jo Sharp Silkroad Aran Tweed. 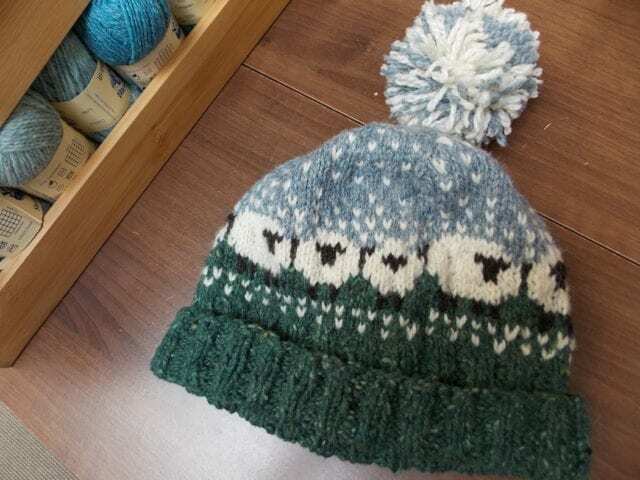 Sarah was one of Amy’s students, too; she knit her hat in Malabrigo Rios, and left the shop after class with yarn for another “Baa-ble Hat.” It’s a pleasing little pattern, and a great way to try stranded colorwork for the first time. Amy’s offering another class on the subject in October–sign up now if you’d like to join! 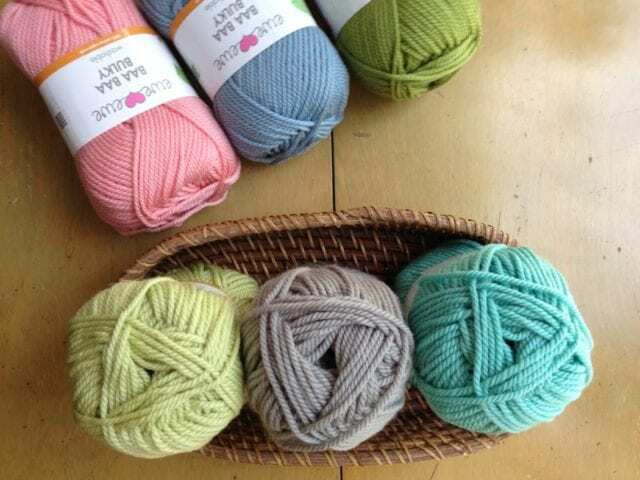 Thanks to all those who share their work with us here at the Hillsborough Yarn Shop. We are inspired by your great ideas, and love to see them take shape! 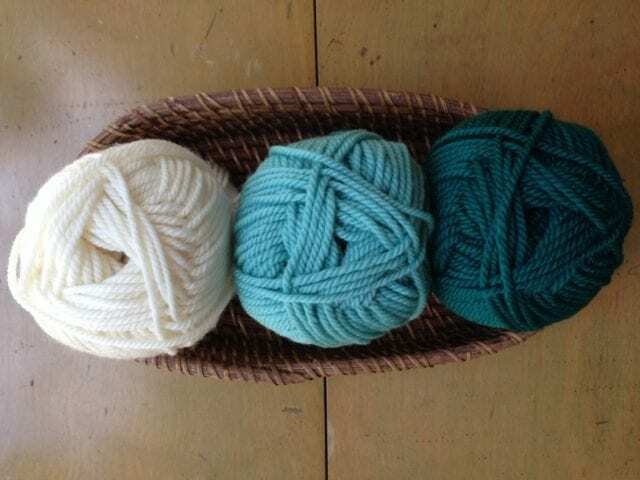 Show and tell: stripes and colorwork. We’re back with another round of show and tell! Here are some of the finished projects we’ve had the good fortune to admire lately, all of whom began as yarn on our shelves. 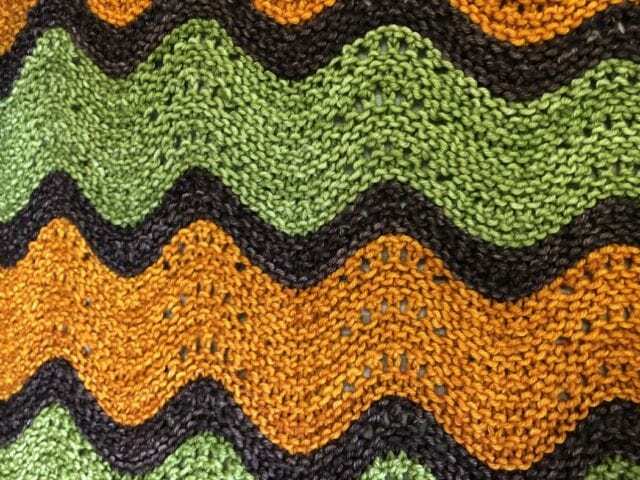 Today, let’s look at projects featuring stripes and colorwork. 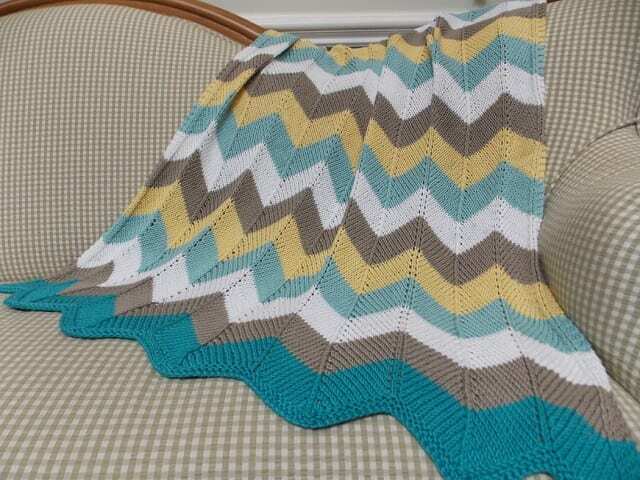 Paula knit this “Chevron Baby Blanket” with Berroco Modern Cotton, modifying the pattern a bit to knit at a slightly smaller gauge. 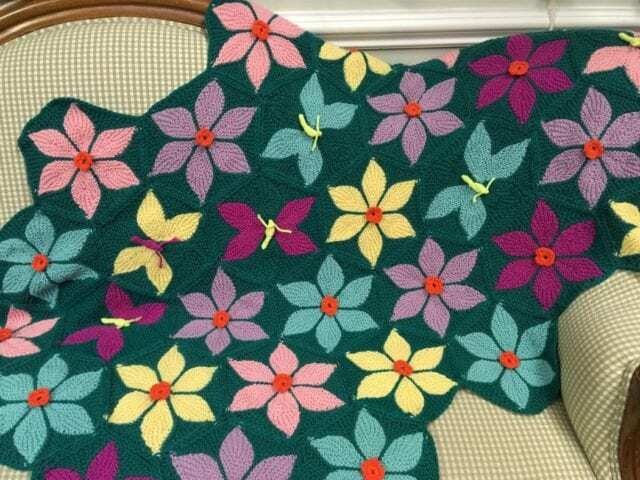 She swatched to figure out how wide each pattern repeat would be with her yarn, then added stitches to her cast-on so that her blanket would come out the desired size. Paula also finished this “wwwww #1” recently, a lined headband by Kate Davies. 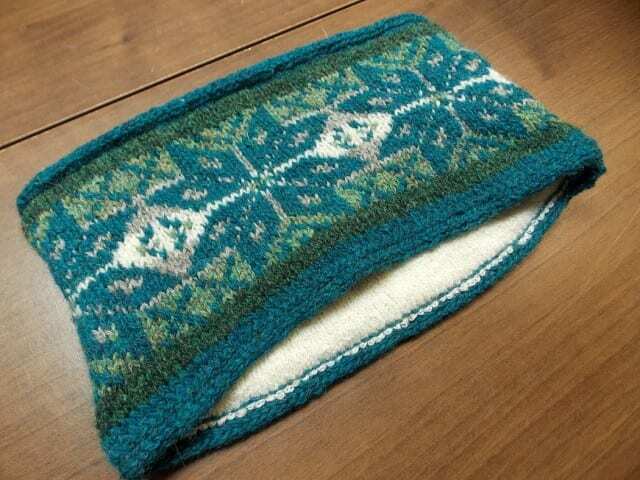 Paula used Jamieson’s Shetland Spindrift for the colorwork exterior, and soft-as-can-be Shibui Maai for the lining. Nicely done, Paula! 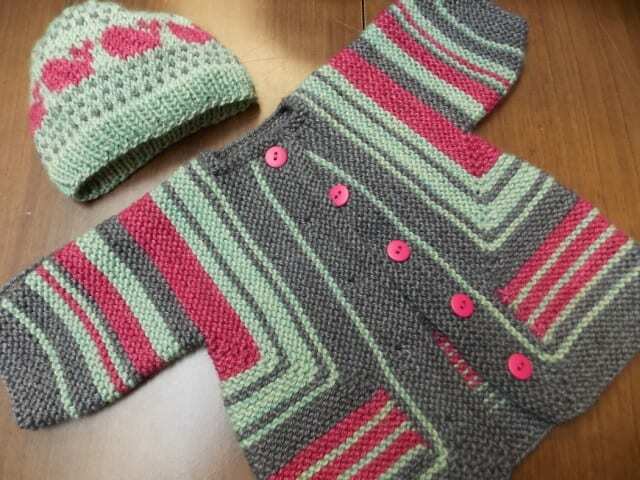 Margaretta recently knit Elizabeth Zimmermann’s classic “Baby Surprise Jacket” with Fibre Company Canopy Worsted, and used her leftovers to make a “Boston Whaler” hat. I love her unexpected combination of sage green, steely gray, and bright fuschia, especially with those perfect pink buttons! 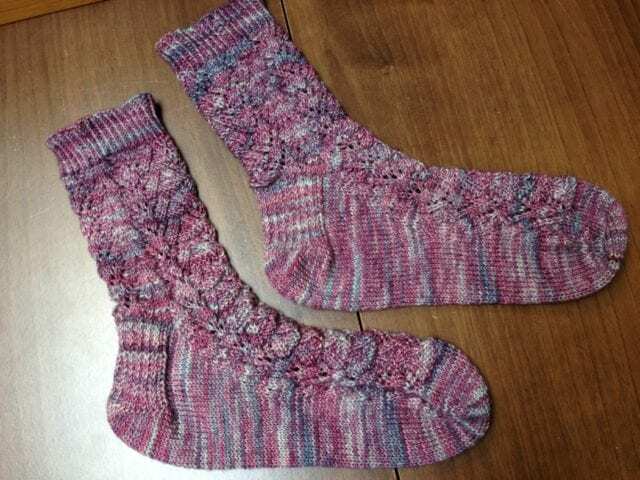 Margaretta has also been working on General Hogbuffer’s “Slippery Slope Socks,” using the solid CoopKnits Socks Yeah! 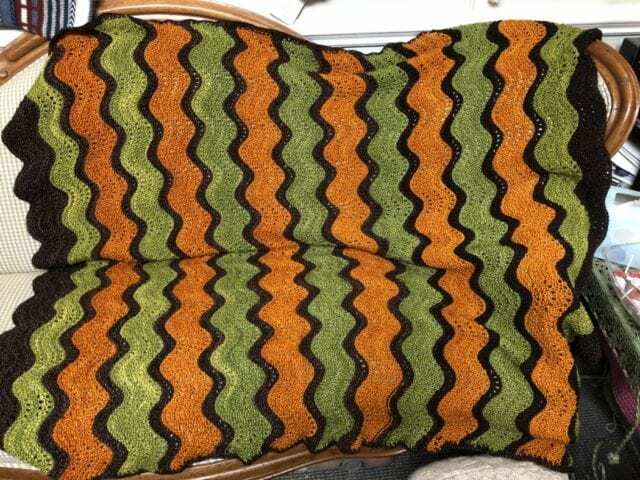 and the self-striping Schoppel-Wolle Crazy Zauberball. 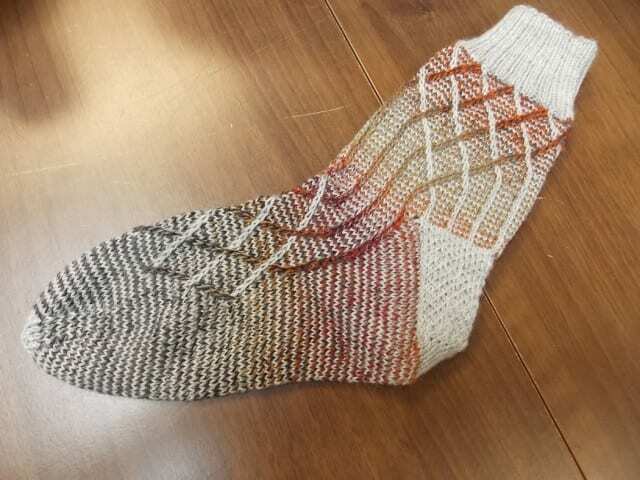 Since I snapped this picture of the first finished sock, she’s completed the pair, and plans to make another with different colors. 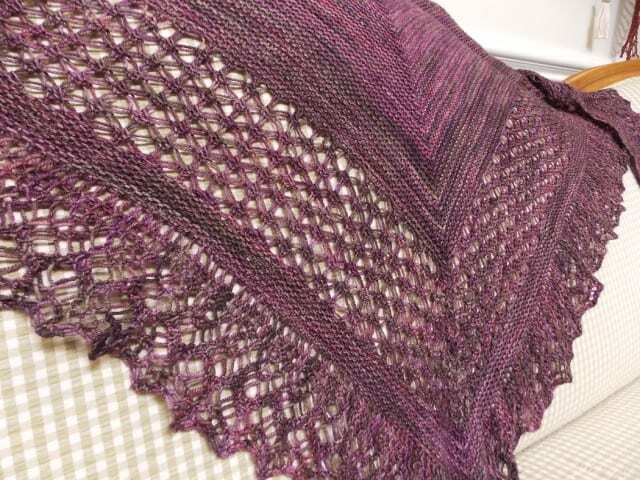 Judie’s “Wildheart” shawl was also knit with self-striping yarn, Cutthroat Yarn Gradient BFL. 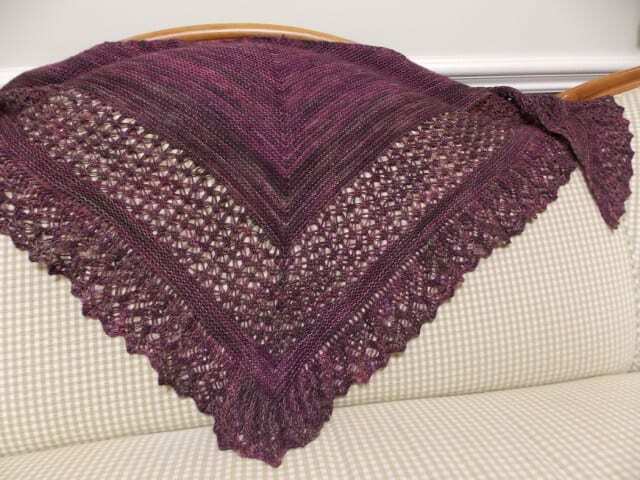 She added a picot bind-off to an otherwise unadorned edge; a little something that I think makes the whole shawl shine. 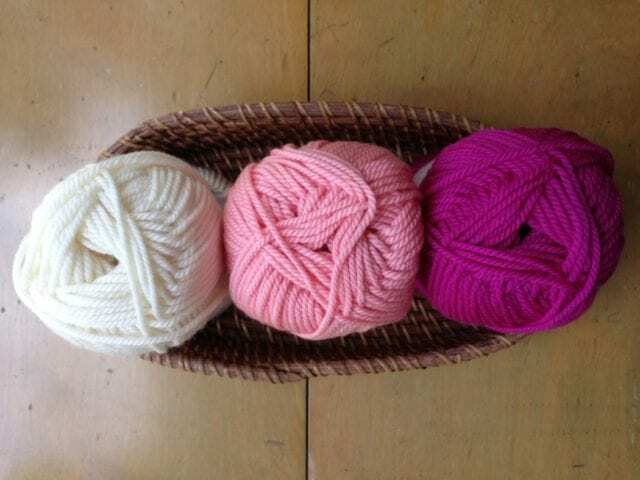 Thanks to the talented knitters who shared their work with us today, and to all the fiber artists who begin their projects here at the Hillsborough Yarn Shop. We love seeing what you’re working on! Show and tell: texture and lace. It’s show-and-tell time again! 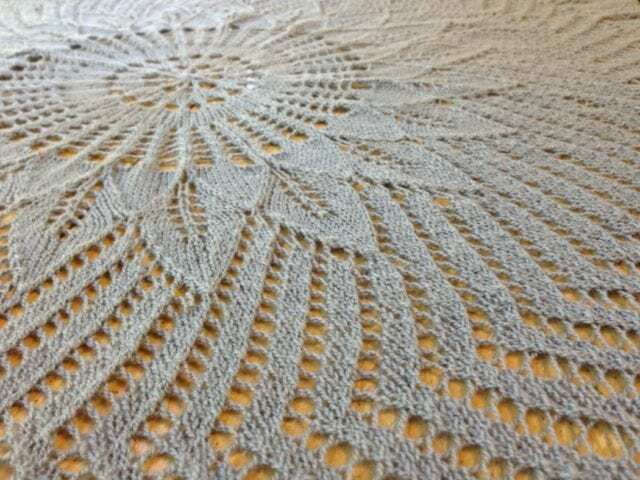 I’ve been collecting photos of finished projects as they’re brought into the shop by proud knitters, the better to share them here. 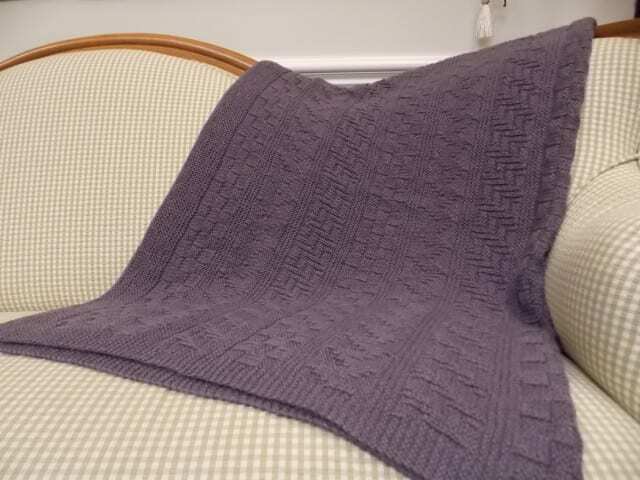 Nancy recently brought in her finished “Big Easy Blanket,” knit in Fibre Company Cumbria Worsted. 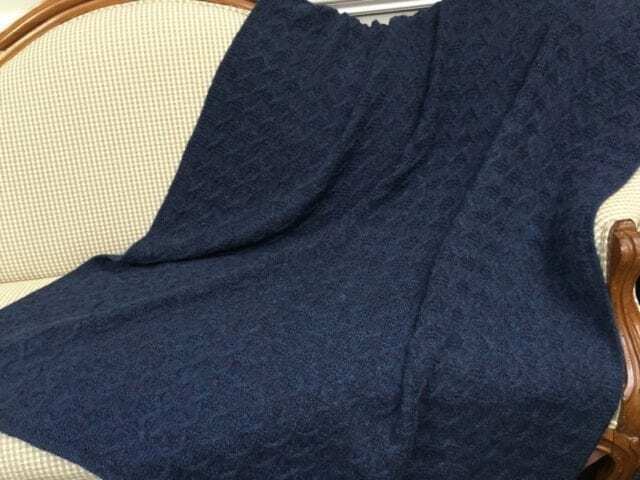 With its blend of structure, softness, and sharp stitch definition, Cumbria Worsted is a perfect choice for this textured throw. 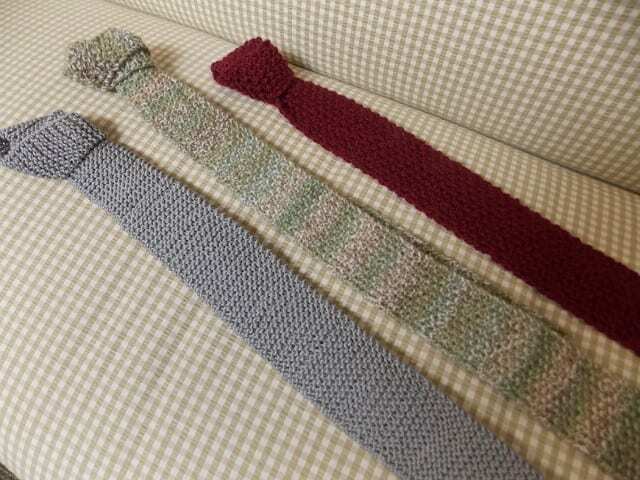 Ellen knit these three ties for her husband, using and modifying the “Seed Stitch Tie Recipe” until she got exactly the fabric and fit that she wanted. 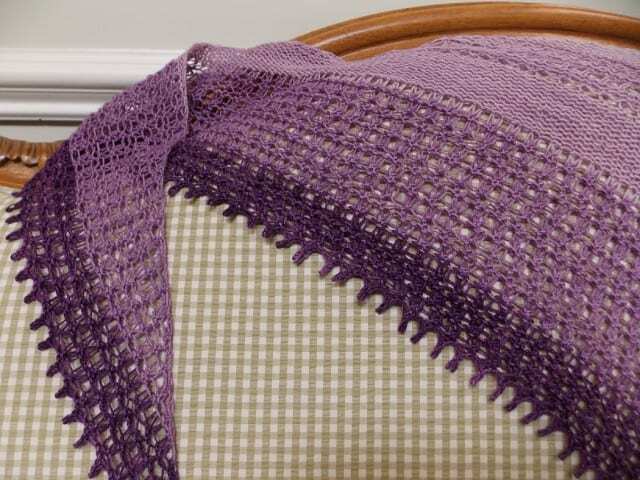 She knit the grey garter stitch tie in Takhi Cotton Classic, the green variegated tie in Twilleys of Stamford Freedom Spirit, and the burgundy tie in Shibui Dune held double throughout. 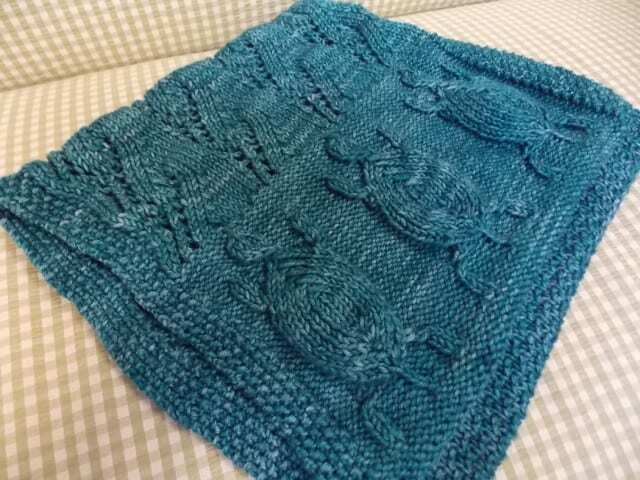 Here’s Hazel’s “Turtles’ Journey” cowl, knit in Malabrigo Arroyo in just the right shade of teal. She brought it to the shop, nearly completed, for a kitchener stitch consult, and everyone who saw it was taken with these textured turtles. 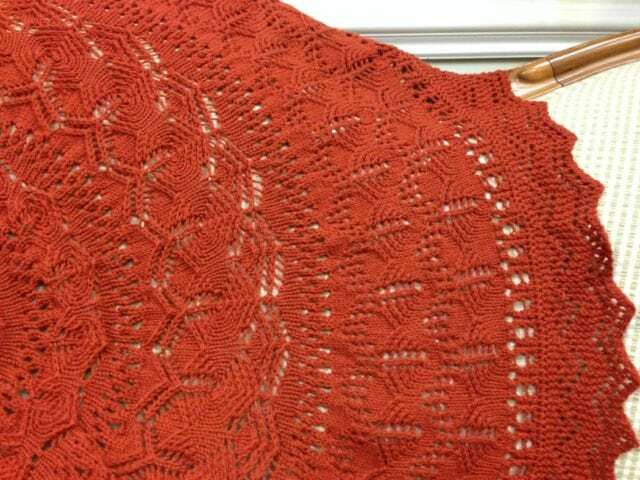 Recent visitors to the shop may have seen Robin’s “Rock Island” shawl hanging on the wall, a sample for her upcoming class on the subject. 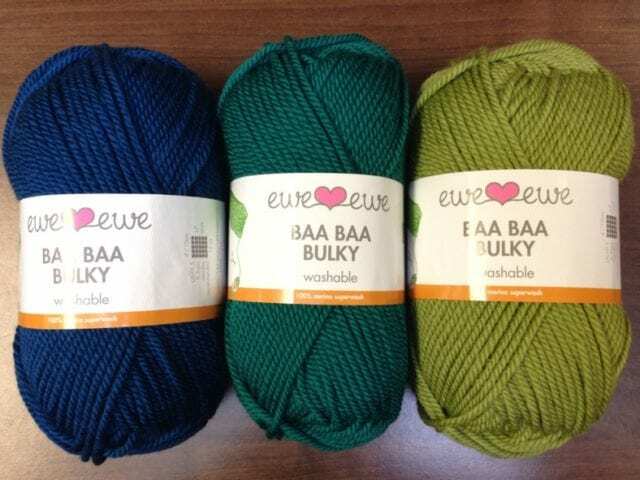 She knit it with Malabrigo Sock in “Rayon Vert,” a color we just got back in stock. 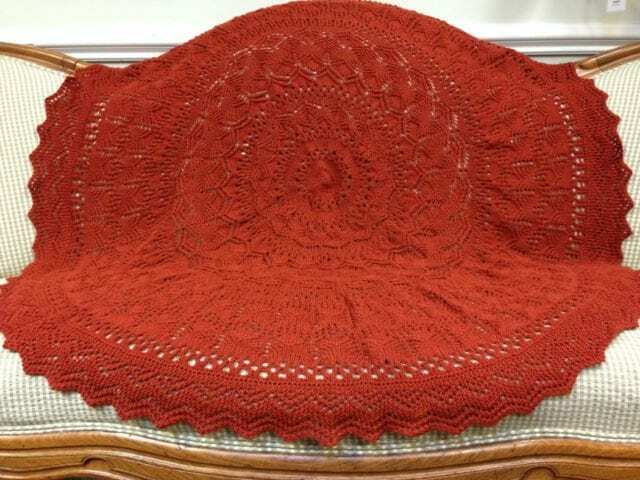 Read more about this intermediate lace class and more on our Classes page! Watching projects take shape is one of the most fascinating and rewarding parts of our days at the shop. Anne and I are always impressed by the needlework around us, and the creative minds we meet. Thanks for sharing your projects with us, and look out for more show and tell soon! 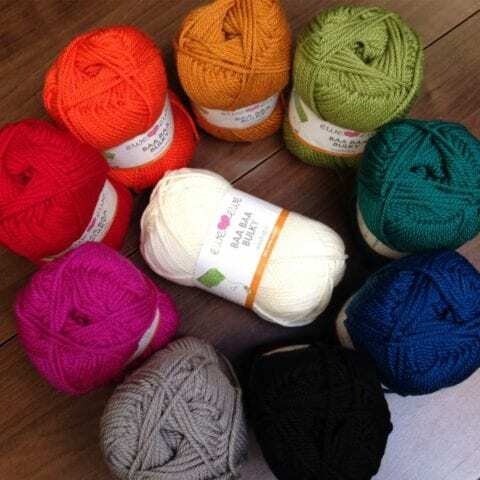 New patterns for Dovestone DK. 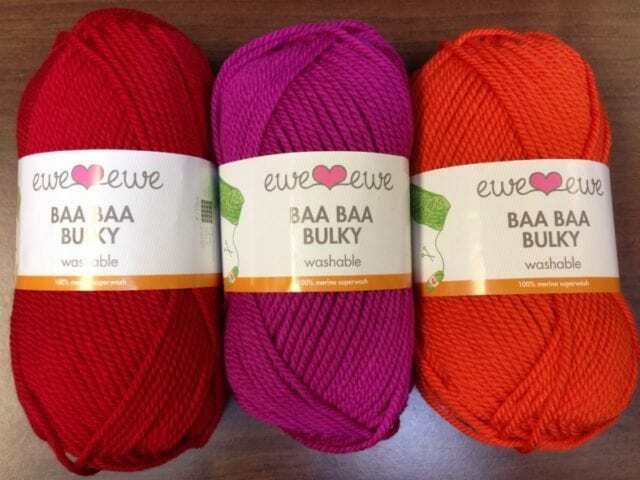 I’m happy to report that we recently got some new single patterns for Dovestone DK, the yarn featured in our current Baa Ram Ewe Trunk Show. 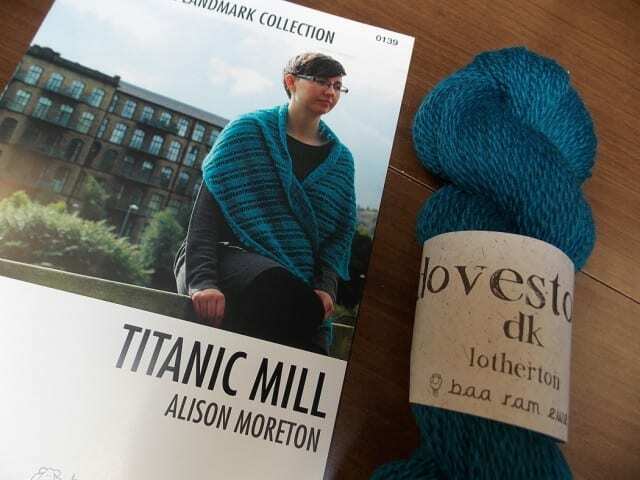 Alison Moreton’s Landmark Collection features garments and accessories knit in Baa Ram Ewe Dovestone DK. 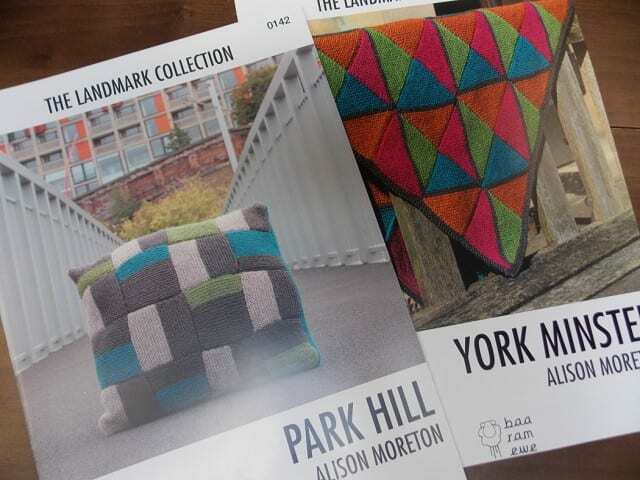 Each design is inspired by a landmark in Yorkshore, home of Baa Ram Ewe. 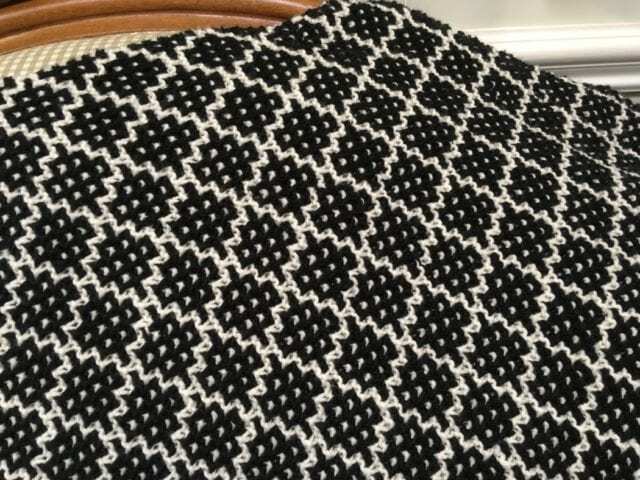 The pattern photos show each piece before the landmark that inspired it, a fascinating peek into the process of translating the shapes and textures around us into knitted fabric. 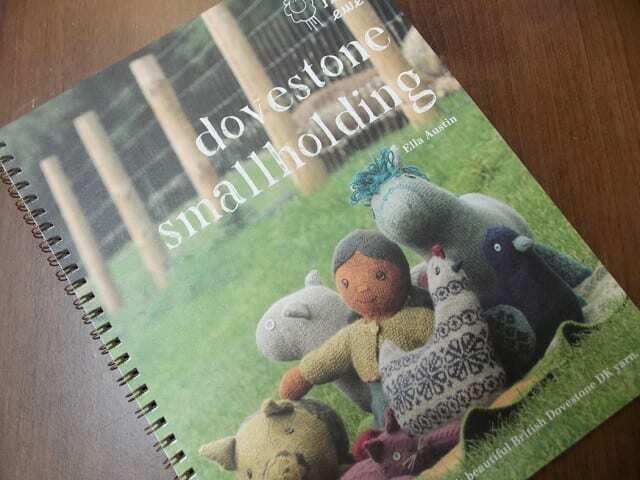 Another new collection for Dovestone DK is Ella Austin’s Dovestone Smallholding. 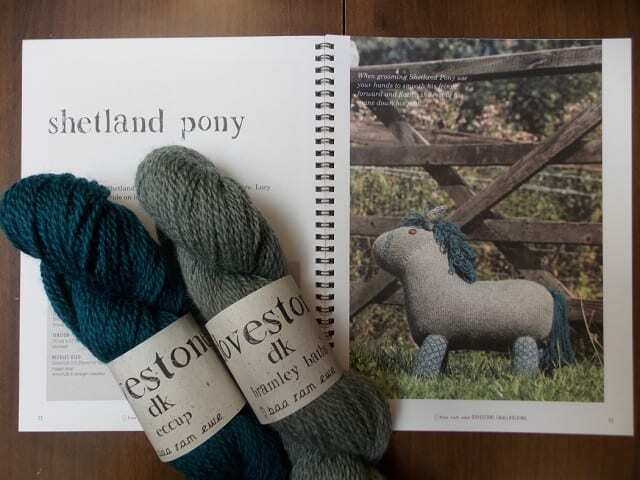 This sweet spiral bound book is filled with stuffed animals and dolls knit in Dovestone DK: a cabled kitten and wensleydale lamb, colorwork fowl, pig, and shetland pony. 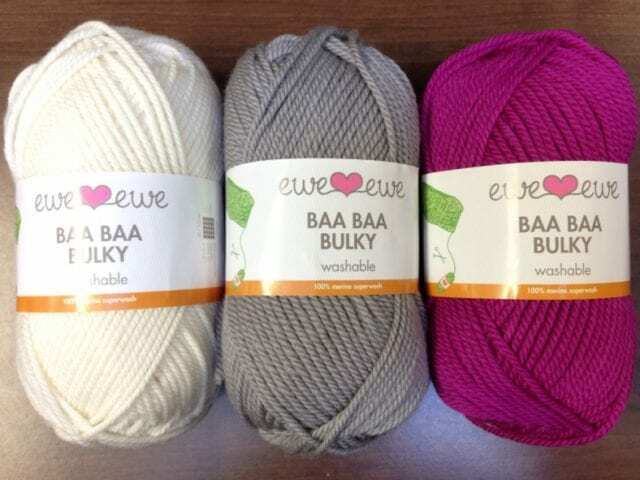 Look for these new patterns here at the shop, and come before May 6th to catch the Baa Ram Ewe Trunk Show and the 10% discount on Dovestone DK that goes with it. See you there! A reminder: all sales are final on discounted items; there can be no exchanges, no returns, nor will we special order. Discount applies only to in-store purchases. Thanks! 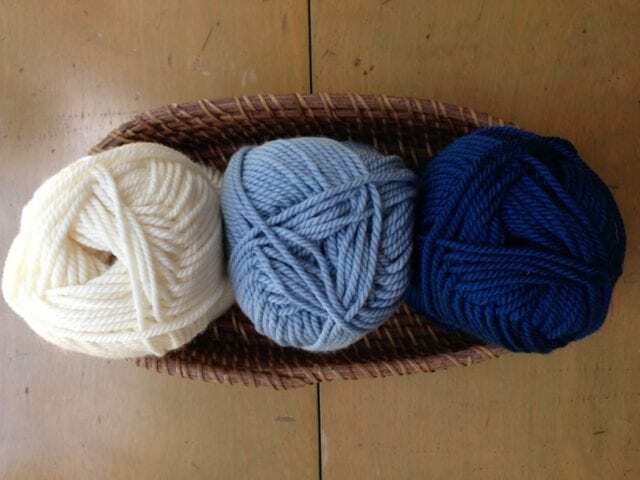 We’re always on the lookout for locally-sourced yarns, and we’ve already brought a few in this year: Shenandoe Farm and Cutthroat Yarn. 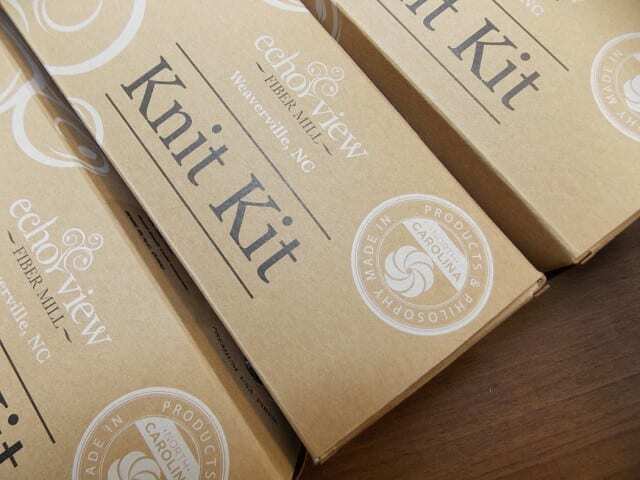 I’m delighted to announce that we found another, and that we now carry kits from Echoview Fiber Mill, in Weaverville, North Carolina! 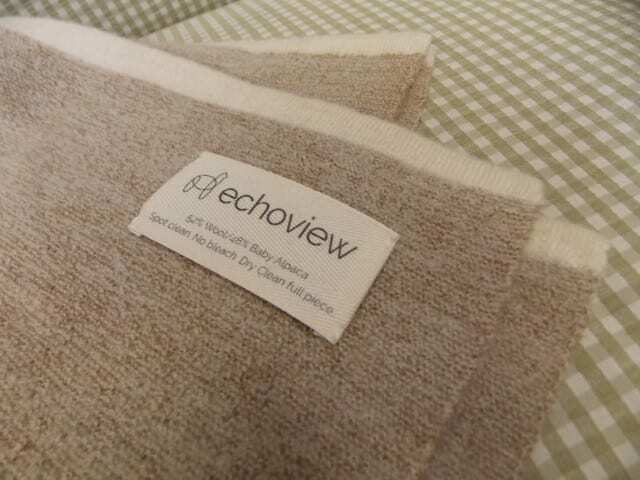 Echoview Fiber Mill is exactly what it sounds like: a fiber processing mill where yarns are made, along with a variety of readymade machine-knits. What sets them apart is their commitment to domestically-sourced fiber and environmentally sound practices; in 2013, theirs was the first manufacturing mill to receive Gold LEED Certification from the U.S. Green Building Council. 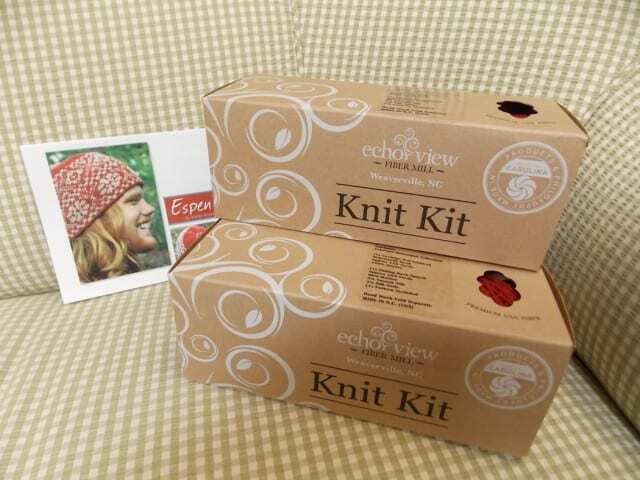 We have two Echoview Knit Kits to choose from, the “Espen” hat and the “Gimli Slouch and Mitts.” The “Espen” kit features a 100% merino wool naturally dyed in what Echoview calls “Coolidge Red,” a replica of a shade once produced at Asheville’s Biltmore Industries in the early 1900’s. 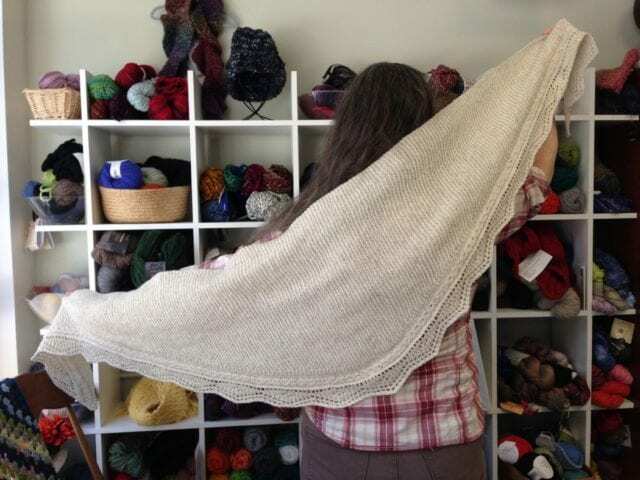 The yarn inside the “Gimli” kit is a DK weight blend of merino and silk with a rustic tweedy look but a soft texture. 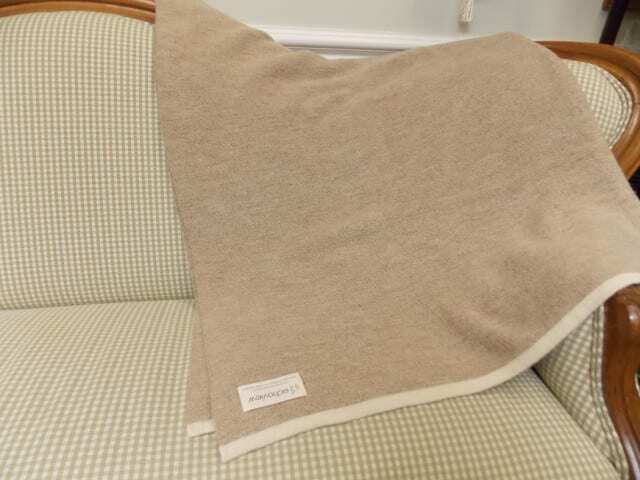 Anne also ordered a machine-knit Echoview Fiber Mill blanket to decorate our sofa here at the shop, something to be sure and pet next time you’re here. 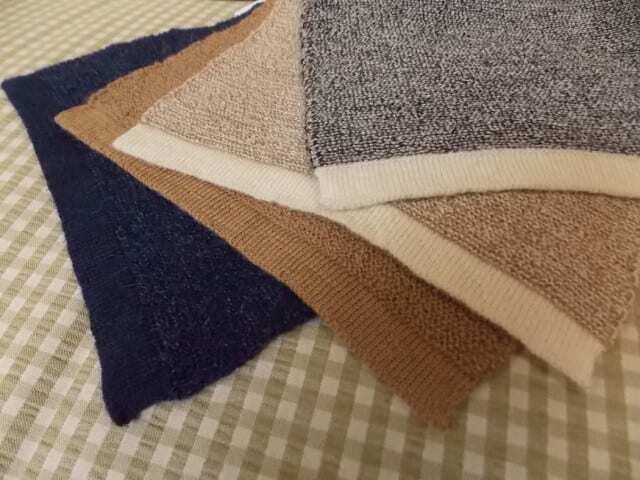 We’re happy to special order one for you, too; we have sample swatches of all the available colors. 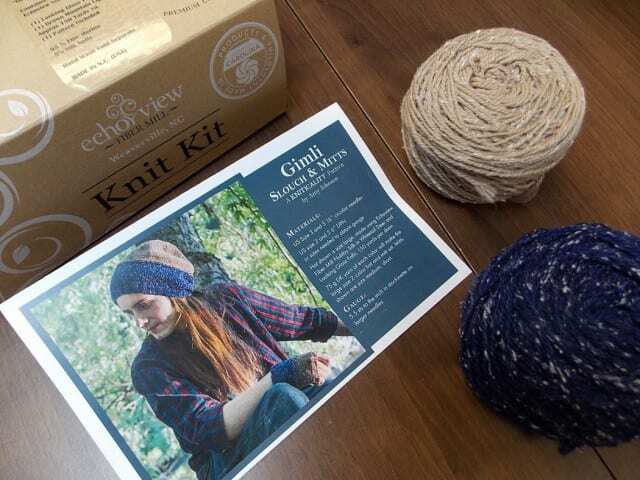 Come by the shop to see these Echoview Fiber Mill Knit Kits for yourself, and to plan your next project!